These simple, affordable and quick fixes are ideal for renters who want to freshen up their surroundings, or homeowners who want more from their spaces but have limited time and money. 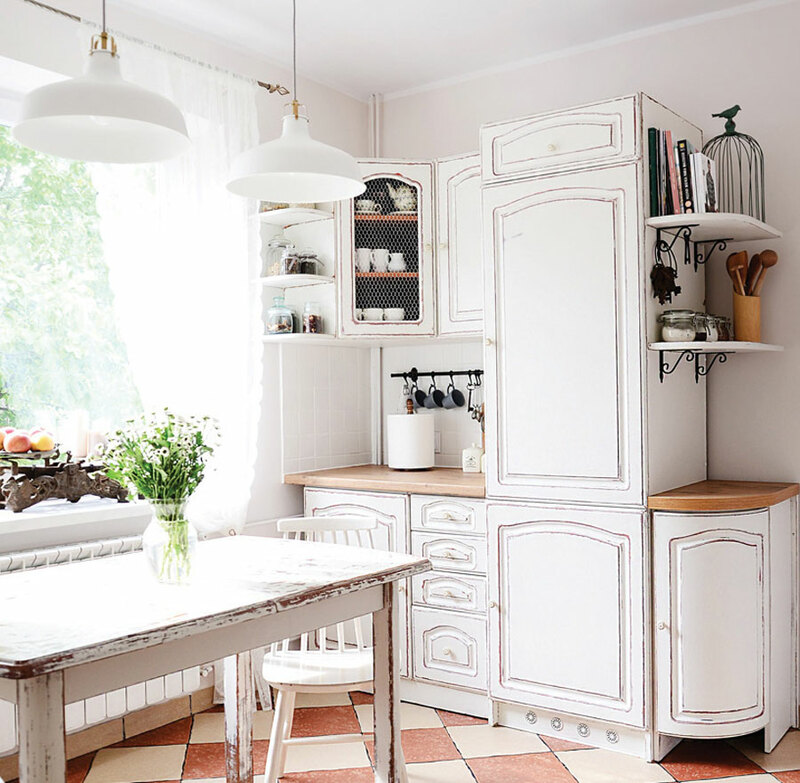 Chalk Paint by Annie Sloan gives this kitchen a quick shabby-chic-style update. 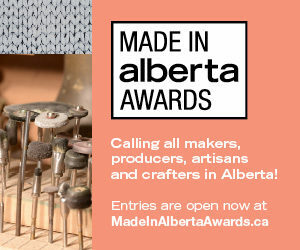 If you’ve only got three hours to spare and a limited budget, Cat Hackman, owner of Calgary-based Room4Refinement, suggests changing out handles and pulls. “Home Depot, Canadian Tire and Lee Valley all have great selections for cabinet handles,” she says. She also recommends paint to quickly refresh problem spots in the kitchen. “If you have a really horrible back splash and can’t afford to change it, it’s actually something you can paint,” Hackman says. “Check in with a paint store for what specifically you need to use. IKEA carries LED light strips for drawers that can be installed quickly and easily. 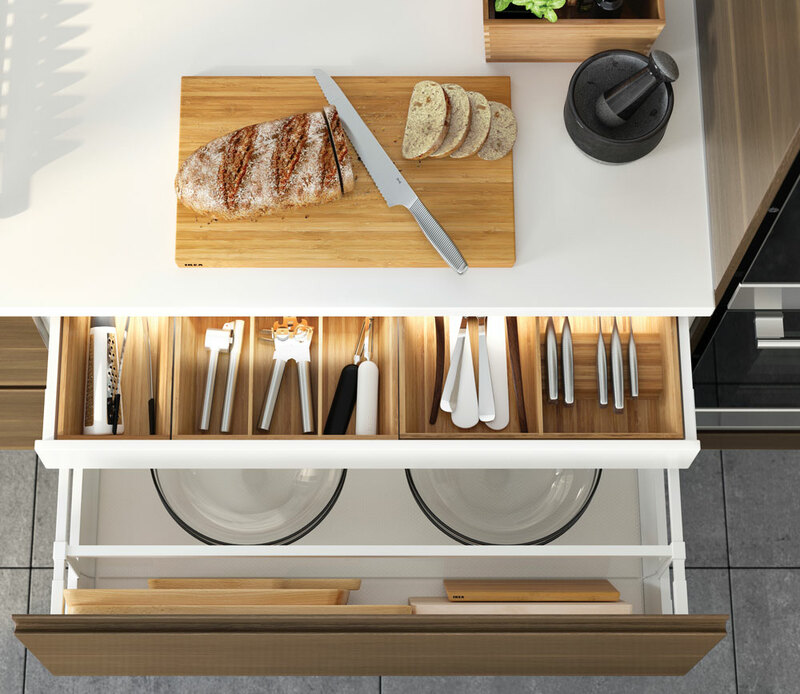 Depending on the size of your space, you may be able to install a modular kitchen system in as little as three hours, says Andrea Woodland, communication responsible at IKEA Calgary. This will add storage without the need for a total gut of the room. “A quick way to refresh your kitchen is to add some cabinetry; you could add something new or extend what you already have,” Woodland says. She also suggests adding easy-to-install LED lighting over and under cabinets, as well as inside drawers. To keep counters tidy, Woodland recommends shelving and wall organizers such as hooks, rails and magnetic strips for knives and spice jars. photograph courtesy of Canadian Tire. Danze touchless kitchen faucet, $400 from Canadian Tire. 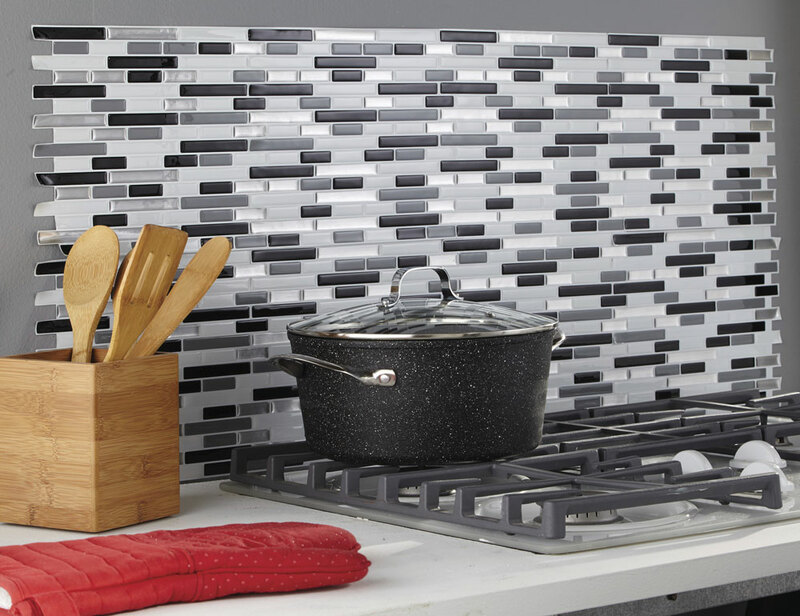 Peel & Impress vinyl wall tile, $20 per four tile pack, from Canadian Tire.